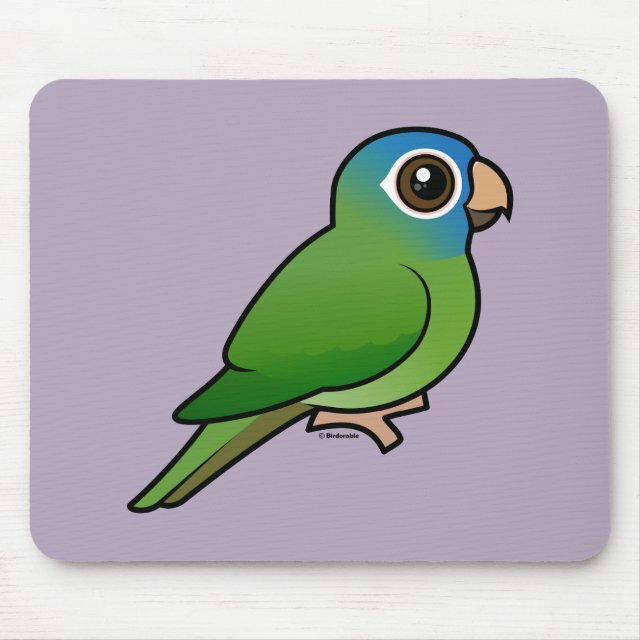 This is our cute Birdorable cartoon Blue-crowned Conure. This bird is also known as the Sharp-tailed Conure or Blue-crowned Parakeet. These cute birds are native to South America. You can customize this gift! Move the parrot around, change the background color or style, add text or images -- make it your own!